Seamus Heaney's version of "Beowulf" is a wonder, a totally modern translation of the poem that somehow manages to sound like it's been around for a thousand years. 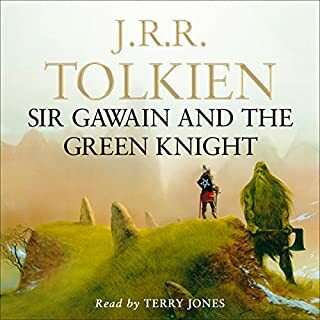 For a long time, his translation was only available on Audible in a badly abridged version - badly abridged even though it was read by Heaney himself: enough of the story was cut that some passages were incomprehensible. 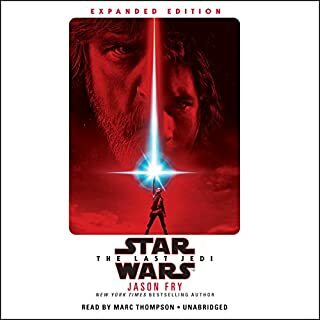 Recorded Books has had this complete version for several years, and it's finally available on Audible as well. If we can't have Heaney doing the whole thing, George Guidall is a great alternative: he has a deep, rich, old-soul-sounding voice that works beautifully on this kind of epic verse. 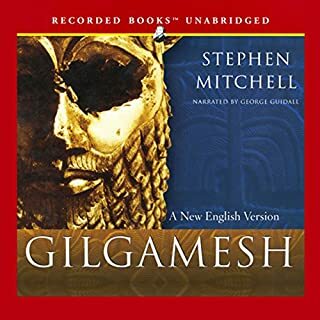 (See "Gilgamesh" and "The Inferno" for other examples.) 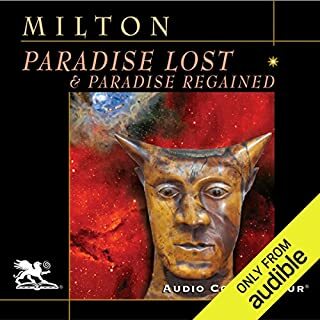 This is, in my opinion, the best version of this work available in audiobook format. Bear in mind, though, that I've been a fan of the poem for many years, and have read at least some of it in the original (in an undergraduate Old English course forty years ago). My recommendation may be less useful for someone trying to get a first-time gist of the story. I honestly don't know how this would come across to someone who'd never heard the story before. If you want another interesting treat, listen to Guidall giving the other side of the story, in the audiobook version of "Grendel" by the late lamented John Gardner. The way the author tells the story powerfully expresses what it must have felt like when, during those same times, they watched their mighty pagan traditions of honor and bravery set out to sea forever, then to be replaced by the new culture of Christianity. If you read it, make sure you also read J.R.R. Tolkein's "The Monsters and The Critics." The whole essay brings new insights to the story; my particular favorite part was his metaphorical statement that Beowulf is a story of youth and old age, the rising and setting of life, and the embracing of the dragon that comes for us all. Beowulf as it should be enjoyed! What a great way to review (or meet!) Beowulf! Heaney's translation is fantastic, and while I'd love to hear a Irishman, a Dane, or a Scotsman read it, Guidall is skilled if neutral. The inclusion of the introduction at the end is surprising (why not include it at the start?) but fantastic, and helps enrich the whole experience. I've read and taught Beowulf before, but I never really enjoyed its story fully until I listened to it. HIGHLY recommended. Yup, even the middle section while they're all boasting and trading loot. Listen to this and skip the terrible cartoony version with Angelina Jolie as Grendel's mom! Translated by Seamus Heaney and beautifully narrated by George Guidall. There are two bonus chapters (essays) read by Seamus Heaney about the poem itself and his approach to the translation. My view of the history of Beowulf does not agree with the publisher's summary. It is true that the only existing early transcript was written in Old English (a relative of the German language) in approximately 1000 BC, but there is very good reason to believe it was written three or four centuries earlier in what is now the German state of Saxony rather than what is now England. While taking a German 4 course in the spring semester of my sophomore year in 1963 I translated a modern German version of Beowulf into English (that was the full course). The author of Beowulf is unknown. Beowulf, a Dane,is the protagonist who battled the evil Grendel to Grendel's death. The second battle with Grendel's angry mother is also won by Beowulf. Beowulf's third battle is with the dragon. He then becomes king. My translation was poor, but good enough for a C- (i was not proficient in German and I took it because it was required for a BS in Chemistry). Seamus Heaney's translation here to modern English is flawless. 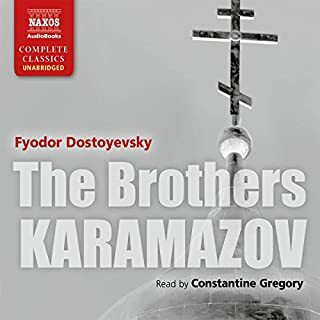 I listened to this audio book to hear a good translation narrated by the wonderful George Guidall. It did not disappoint! This book is well read and does a good job at bringing the text to life. The part that most intrigued me was the essay by the author at the close of the book. His explanation of his translation was fascinating and illuminated the often told story even move. Be sure to stay tuned for chapters 11 & 12. Incredible insight from the translator. I could live in this poem for weeks and write many essays exalting different aspects of its contents. "Beowulf" sets the standard for epic poetry in the English language, and Seamus Heaney's translation from the original Anglo-Saxon (aka: Old English) to a modern voice is poignantly refreshing. "Beowulf" may be recognized in popular adaptations for its monster fights, but there are also complicated discussions on honor, duty, legacy, greed, heredity, adoption, jealousy, revenge, piety, justice, goodness, and destiny. This Old English poem about an older Scandinavian culture captures our imagination and ignites the inherent longing for glory. 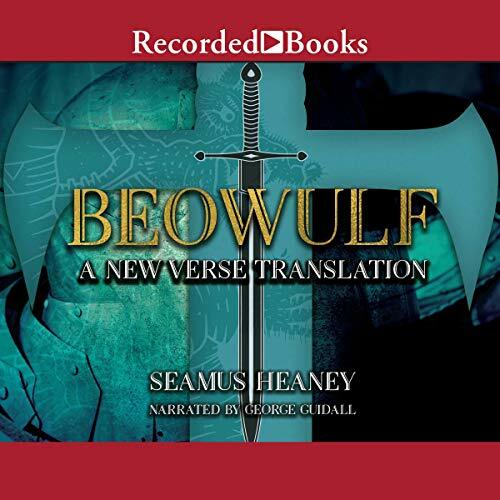 I tend to read "Beowulf" every few years, and this time I listened to the Recorded Books audio book (available on Audible) narrated by George Guidall. It was performed well, and concludes with a thought provoking essay by the translator. Heaney acknowledges the coincidental growth of "Beowulf"'s importance within the English canon and curriculum, recognizes how Tolkien's "Monsters and Critics" essay reinvigorated enjoyable readership of the poem, and reconciles the creative licenses he takes in his translation. 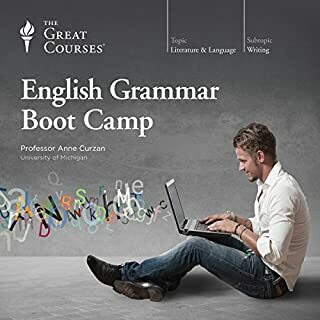 Though most of his choices to avoid direct translation are justified and do not detract from the experience of the tale, it is important to understand when those choices have been made so we can appreciate the interpretation of this text as a continuous exercise. Tolkien's own "Beowulf" translation was published a few years ago; I'll have to read that one next. While Grendel's reign and his mother's haunt are possibly the most remembered portions of the story, my favorite section is when Beowulf rules his home-country and must defend his people against the slumber-disturbed dragon. No longer is just Beowulf's life on the line, but now in jeopardy are his people's lives, the quality of his landholdings, and his legacy as a good king. The stakes are escalated for the climax, and the detailed descriptions of the battle and beast deliver equal degrees in intensity. "Beowulf" is a vexing marvel that deserves to be studied and fought over for centuries to follow. Every speaker of the English language should read "Beowulf" in its entirety at least once in his lifetime. This should be required reading for every undergraduate English major and every Swedish or Anglo-Saxon historian. Every lover of fantasy, dragons or Vikings should reap this poem's linguistic spoils. Ideally, Old English studies would be offered in more universities to allow new scholars to delve into this world in its original. So excited to get an unabridged version of this. Enjoyed this reading immensely. Really easy to listen to and enjoy the poetry of the piece. fate spares the man it has not already marked. As a reader I find something more bracing in “undoomed”, something colder and more northern in that rider at the end, stipulating the necessity of courage to stave off one’s doom, whether it’s fated or not. However, as a listener I admit that Heaney gave us an eminently listenable version—what critics have called “approachable”. As Heaney points out in the essay following the poem, a grasp of the academic details is still necessary for a fuller appreciation of the poem. Nevertheless, he managed to make it sound about as immediate and fresh as I imagine it was for the poem’s first audience. Very fitting for a poem that was probably heard before it was ever read; this really is the perfect translation for the ear buds—preferably with a glass of mead nearby. The fine insights in the essay at the end of this recording—don’t miss the changing role of gold in the story—are counterbalanced by some terrifyingly trendy academic shibboleths. Only a man who spent his entire adult life teaching would opine that the poem’s straddling of the pagan past and Christian present conforms to modernist notions about the “indeterminacy of the human person”. (For a more common-sense take, listen to Professor Timothy Shutt’s Beowulf lecture in his Masterpieces of Medieval Literature). Even Heaney’s useful insights can be couched in language more diaphanous than direct. Oddly, the usually pitch-perfect George Guidall seems to need to warm up to this poem. For the first few minutes he sounds somewhat stand-offish. Then, about half an hour later, I realized he’d swept me into the story as effectively as in his (no longer available) recording of the Iliad.